Good things come in threes, or fours or even sevens, and we had a lot of good things in our sketch challenge this round! Three to party turned out to be balloons for sure, but also flowers, and frosty treats and others! This sketch was totally made for the balloon pop-up dies and to make it a shaker card just added to the party appeal, especially with the vibrant colours Joanne used! The Design Team was ready to party on after seeing Joanne's cute card! 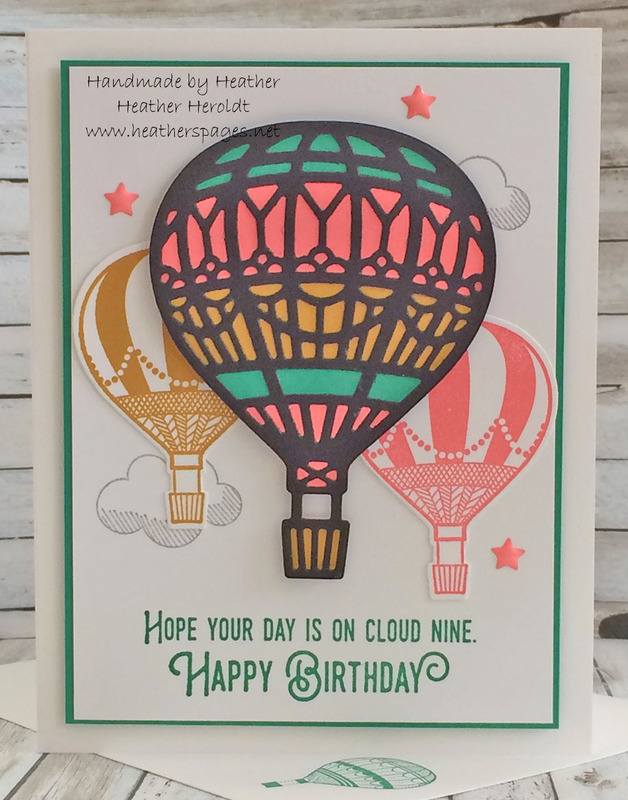 Balloons were in the sketch, yes, but how clever was Heather to think of Hot Air Balloons, and the Design Team was taken with the bright colours and beautifully balanced composition of this project! Bravo! What a great Friday treat - thanks for the Top Pick this week ladies and congratulations to Heather on being the featured artist too! Great inspiration as always ladies! Eek! Thanks so much for the SNAPS - a perfect close to a long week! Thanks, too, for the great challenges - love it!